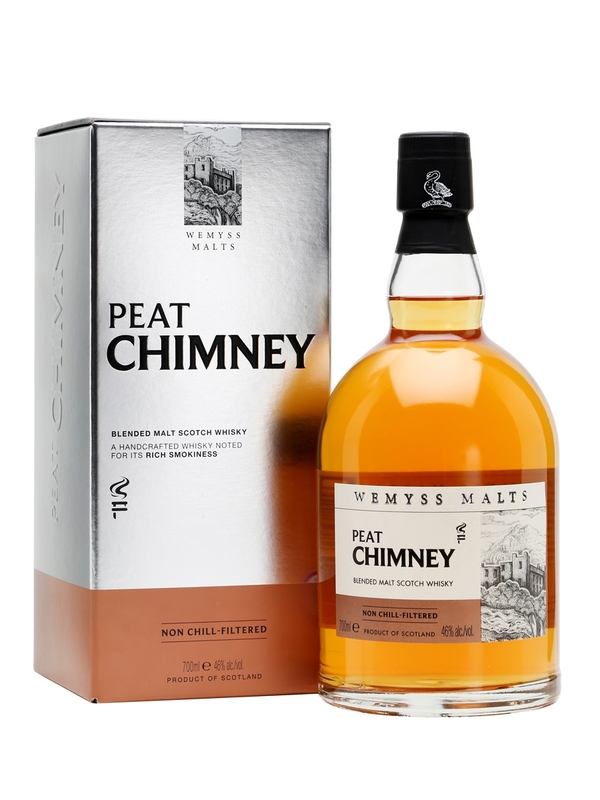 The Peat Chimney blended malt Scotch whisky is a warming, subtly coastal expression from Wemyss Malts. Each Wemyss expression is named after its flavour characteristics, with this expression being named 'Peat Chimney' for its “gentle” smokiness. 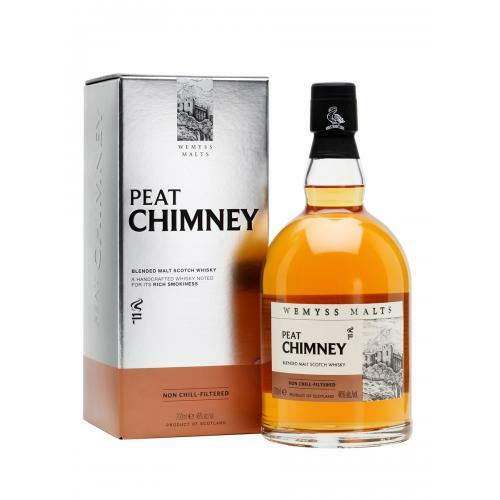 By no means is it an in-your-face blast of peat but rather Peat Chimney focuses on the elegantly smoky side of things, with a good balance between the sweet and savoury notes you can catch in peated whiskies. The flavor is one of toffee and syrupy sweetness spiced with cinnamon. The smoke is there in the form of a pungent, but small note of creosote. The liquid has an oily character that extends into the finish, coating the mouth and taking hold, leaving an aftertaste that is ashy and cinnamon-ed in equal measure. Moderate warmth grabs hold and hangs on for a stroll.